Capital budgeting has five principles that play a crucial role in the allocation of money and the process of capital budgeting. 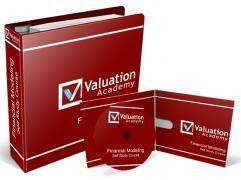 The five principles are; (1) decisions are based on cash flows, not accounting income, (2) cash flows are based on opportunity cost, (3) The timing of cash flows are important, (4) cash flows are analyzed on an after tax basis, (5) financing costs are reflected on project’s required rate of return. (1) Relevant cash flows are based on incremental cash flows. This represents the changes in cash flow if the project is undertaken. Aspects of cash flow that affect capital budgeting are sunk costs and externalities. These are both costs that cannot be avoided. Sunk costs are costs that are unavoidable, even if the project is undertaken. Externalities are side effects of a project that affect other firm cash flows. (2) Cash flows are based on opportunity cost. In other words, it is the cash flow that will be lost due to the financing of a project. These are cash flows that are accumulated by assets the firm already owns and would be sunk if the project under consideration is undertaken. (3) The timing of cash flow is crucial because it is dependent on the time value of money. Cash flow that is received now will be worth more in the future if it were to be received later. (4) Cash flows are measured on an after tax basis. It is useless to measure cash flow before taxes because it is not its present value. Firm’s value is based on cash flow that a firm gets to keep, not the money that is sent to the government. (5) Financing costs are reflected on project’s required rate of return. Rate of return is an aspect of financing that has potential risks. Project’s that are expected to have a higher rate of return than their cost of capital will increase the value of the firm.